This is a book written by the Russian author Olga Perovskaya describing her childhood experiences with animals along with her three sisters at their forest home in Almaty, Kazakhstan (then Russian Empire). Her father, a forester, used to bring back young animals from the wild animals whenever he used to return from hunting and the stories feature the experiences of the sisters - Sonya, Olga (the author), Yulia and Natasha in feeding, taking care of the animals and watching them grow. The stories featured wolves (Dianka and Tomchik), a maral - Caspian stag (Mishka), a donkey (Ishka), a tiger (Vaska), a fox (Frantik) and a horse (Chubary). 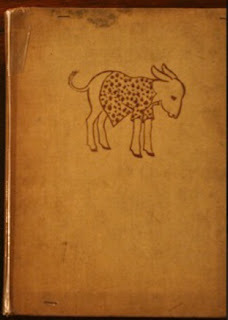 The author had described the behaviour and mannerisms of the various animals really well and how the four girls played with these animals, the involvement of their parents; the ruckus caused by these animals and eventually, in some cases, the animal leaving the family after growing up (mainly the wild animals). The surroundings of their forest home, their yard, was also very well described and even though the edition I read had some illustrations, the description was good enough to make do without them. Considering that this is a book that is featuring real life childhood experiences, not all stories have a happy ending. My main issue was probably the way in which the author chose to structure the novel; that is, as a collection of short stories featuring each animal; whereas, in each story, the girls started out at around the same age and yes, the subsequent story on the fox (Frantik), confirmed that they had the stag Mishka in their yard at the same time and I felt she could have presented them as a novella in a continuous sequence. Apart from that, I am not sure as to what extent there is exaggeration and imagination from the author involved considering, some of the animals that she claims to have handled are the ones that are perceived to be really wild and predatory such as a wolf or a tiger. Moreover, the author seemed to describe what her sisters did; with such accurate details than what she did herself; which again makes me doubt the extent to which imagination was involved. However, my problems with the book was more like mode of presentation or to what extent they were exaggerated but individually; looking at it as stories, it makes for an excellent light read and perhaps a very good read for children. I read this book to take breaks while I was studying and it served the purpose of relaxing my mind and thus, on the whole, I would rate the book a seven on ten.